Rebound Hospitality is pleased to announce a September 1 opening date for its new 84-room Fairfield Inn & Suites by Marriott in Decorah, Iowa. All approvals and signoffs have been officially received from Marriott. Room reservations can be made online at www.marriott.com/lsefd or by phone at 563-382-8800. 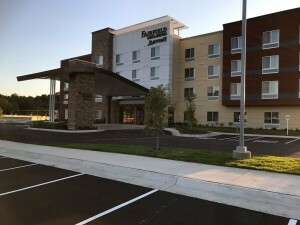 Located at the southeast corner of the intersection of Highways 9 and 52, the Fairfield Inn & Suites Decorah will operate as a Marriott franchise, owned by Decorah Hotel Partners and managed by Rebound Hospitality of Northfield, Minnesota. Just minutes from downtown Decorah and adjacent to the Trout Run Bike Trail, the hotel offers guests convenient access to Luther College, Vesterheim Norwegian-American Museum, Porter House Museum and Dunning Springs. It sits on a bluff at the former site of the Cliff House/Bluffs Inn hotel. In 2016, Rebound Hospitality entered into a development agreement with the City of Decorah to tear down the blighted property and replace it with the newly constructed Marriott. “It is very fulfilling to see all of the work and collaboration of many organizations and people coming together to make the opening of a Marriott Fairfield Inn & Suites happen in Decorah,” said Brett Reese of Rebound Hospitality. The new hotel is the result of local partnering and collaboration efforts from the City Decorah, Decorah Jobs, the Chamber of Commerce, the CVB, Luther College, Decorah Bank and Trust, Viking State Bank, Kerndt Brothers Bank, and local community investors. “The dream of a Marriott coming to Decorah became a reality because of their encouragement, support and participation,” Reese said. This hotel has a unique connection with the city of Decorah. Arne Sorenson is the CEO of Marriott International and is a graduate of Luther College where he now serves on the Board of Regents. His wife Ruth (Christenson) Sorenson is a Decorah native. Rebound Hospitality is focused on developing businesses and people that are dedicated to serving and connecting their communities. They operate multiple hotel properties in addition to the Fairfield Inn & Suites Decorah, including the Archer House (Northfield, MN), the Des Lux Hotel (Des Moines, IA), the Hotel Winneshiek (Decorah, IA), and the Fairfield Inn & Suites currently under construction in Northfield, MN. 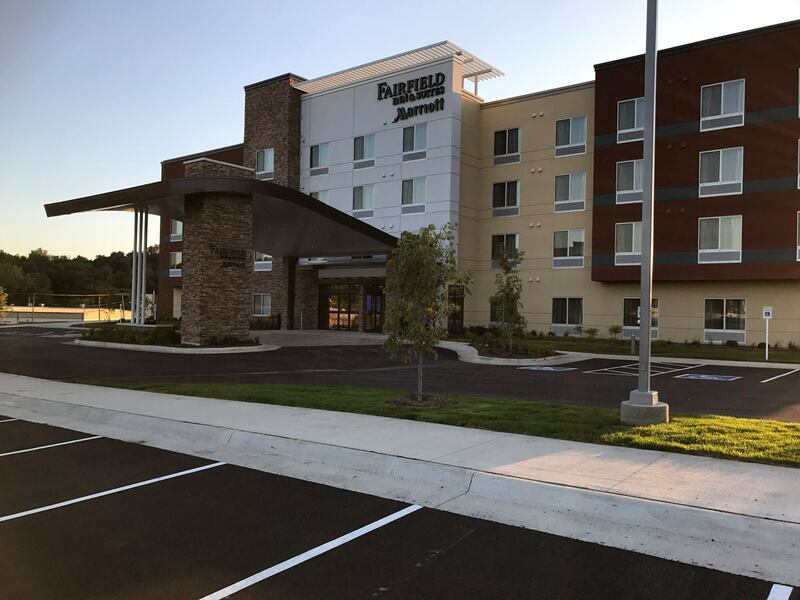 The public will be invited to attend a Grand Opening celebration at the Fairfield Inn & Suites Decorah in late October and details will be forthcoming.